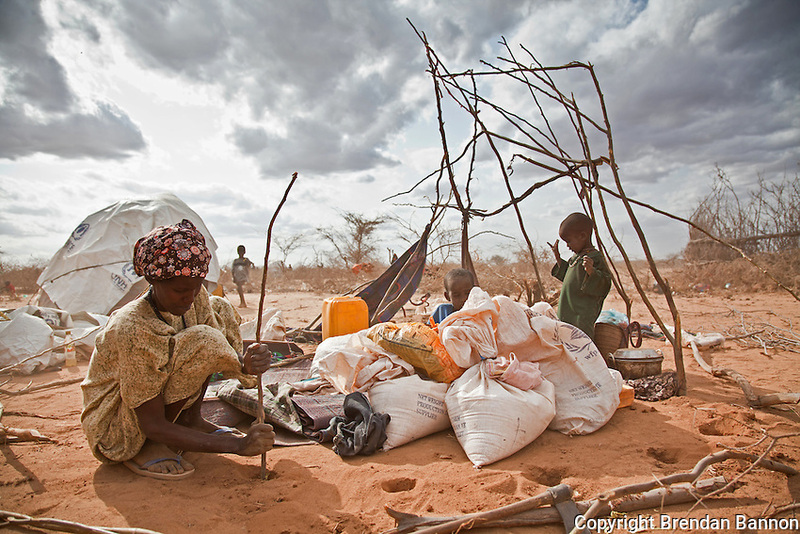 A refugee uses twigs and craps of material to build a shelter for her family. There is no room for most new arrivals in the Dadaab camps, so the thousands of people who arrive every week must carve out a place for themselves in the surrounding desert. Doctors Without Borders estimates that by the end of 2011 there will be 500,000 people living in and around the camps, which were originally built to accommodate 90,000.